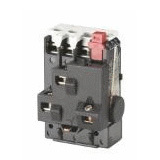 The contactor range includes minicontactors from 2.2. to 5 kW and control relays/ contactors from 2.2 to 238 kW. The thermal overload range TI 9C, TI 16C, TI 25C, TI 30C, TI 80 & TI 86 are used with the contactor range CI 4 – CI 86 to give protection of squirrel-cage motors. The electronic motor protection relays TI 180E and TI 630E give effective protection of electric motors exposed to thermal overload, phase failure and asymmetrical load. 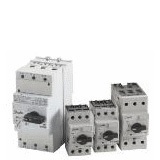 Circuit breakers for short circuit- and overload protection of motor applications, covering the current range from 0.1 to 90 A AC-3 rating. CTI 25MB breakers offer a higher short circuit breaking capacity than the CTI 25M type due to their built-on current limiter. 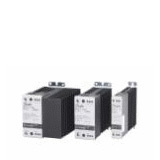 The program is very flexible, featuring add-on accessories such as auxiliary contacts, alarm contacts, voltage-and under voltage trips, connection terminals and bus bars. 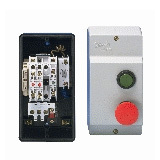 The CIM motor starter is a direct on-line unit, consisting of a contactor with a start contact, if appropriate, mounted in an enclosure with stop/reset button or with start stop/reset buttons. In order to keep a minimum and flexible stock, the thermal overload relay must be ordered separately related to the actual full load current of motor. Complete electronic motor starter with integrated protection and control features. Offers better reduction of starting current than traditional star/delta starter. The electronic timers with their robust design and many built-in functions are ideal for OEMs and panel builders. Easy time setting, electrical noise immunity, mechanical shock and vibration resistance, compact standard dimensions og DIN rail or adaptor mounting. 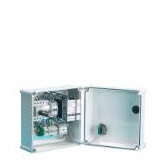 The MCI soft starter range are designed for soft starting and stopping of 3 phase a.c. motors, starting of 3 phase compressors (MCI C) and starting small commercial refrigeration units & heat pump (MCI-CH) thus reducing the inrush current and eliminating the damaging effects of high starting torque surges. 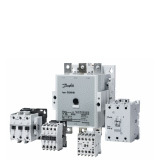 ECI Electronic contactors are designed for fast and demanding switching of loads such as heaters, solenoids, transformers and motors. 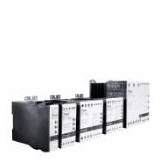 The units are DIN rail mountable, complete with heatsink and require no additional components. 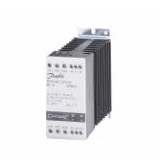 ACI Analogue power controller is designed for very precise temperature and transformer control. The ACI is typically used as controller for heaters and infrared lamps but also ideal on transformer controlled processes. The MCI DOL motor contactor are designed for fast and demanding switching of 3-phase AC motors in cranes, packaging machines and other applications with frequent inching, jogging or plugging and where a high number of operating cycles is essential. 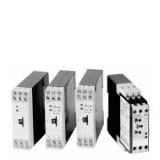 RCI reversing contactors are designed for demanding forward/reverse control of 3-phase AC motors i conveyors, thread cutting machines, packkaging lines and other applications where fast reversing capabilities are needed.